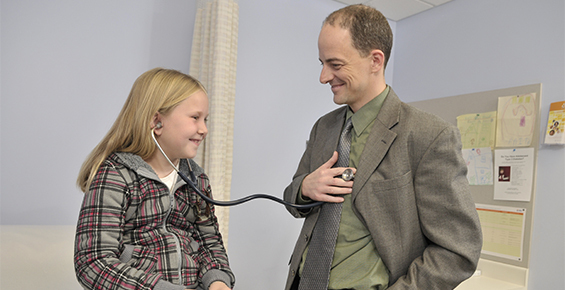 At all of our clinics, pediatric diabetes experts provide holistic, family-centered care for children with diabetes. Physicians, nurses, dietitians, social workers, psychologists and other professionals work together as a team to minimize the effects of this chronic disease on your child's health, development and future. Your child's care begins with a thorough evaluation and accurate diagnosis. Diabetes often runs in families, so our experts look at each patient’s family history to consider potential genetic causes. Our team can then devise a plan to manage the diabetes, which may include dietary changes, exercise, medicine and/or weight loss. Having a child with diabetes in the family is hard. We believe it is important to help you manage the disease at the family level. Our diabetes educators can help teach you and your child about blood testing, insulin injections and lifestyle changes that your family may need to make together. Life’s stresses can be especially difficult for individuals with diabetes as well as for their families. Depression, anxiety and the challenges of diabetes management can occur in families that are overwhelmed. These conditions can increase the need for additional clinical services or interventions that may be preventable with routine behavioral health and wellness services. Thus, to address these potential concerns, at the Kovler Diabetes Center, individuals and families can now get support that helps them achieve better self-care, family life and diabetes management. Learn more about our innovative, family-based behavioral health and wellness program. Despite their doctors' and parents' best efforts, some children may have complications from diabetes that affect their skin, vision and organs. Our diabetes experts have experience treating the most complex cases of diabetes in children and can offer solutions that aren't available at other medical centers. 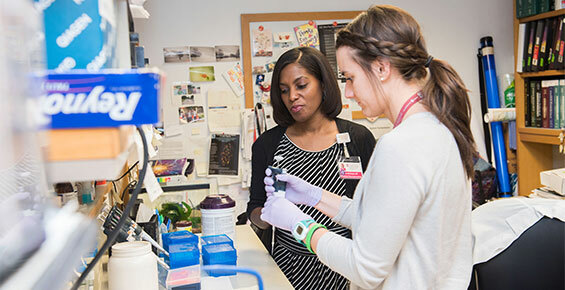 Our pediatric diabetes team has developed a specialized clinical care and education program called InTransit for adolescents and teens with diabetes. The program's main goal is to empower teens and young adults to manage their diabetes and create a healthy future. It includes pediatric and adult endocrinologists working side-by-side at the Kovler clinic to help patients transition their diabetes care and responsibilities from their parents and family to themselves. Learn more about the InTransit teen transitions program. If your child suffers from weight problems, our Fit Matters program can help. This program teaches children how to change their behaviors so they can lose weight and live a healthier lifestyle. Other weight-loss programs are also available, including a community-based family nutrition and exercise program aimed at decreasing diabetes risk in overweight African-American youth. Programs can be customized to your child's needs. Our goal is to not only help families manage diabetes, but to prevent it as well.